My newest ePals for page 7 are really precious. 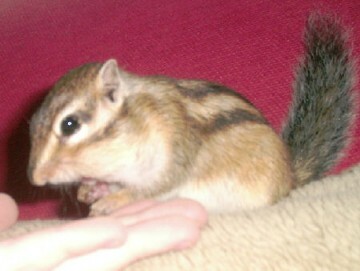 Pam who lives in Pensacola has two darling little babies. The photo above is of Timber. Boy, he really likes to chew. That toilet seat will never be the same again. 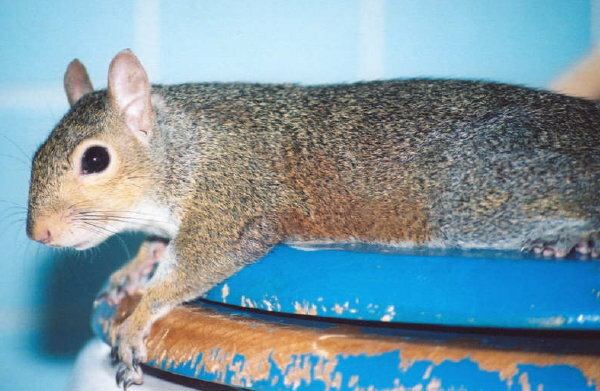 Timber, an Eastern Gray squirrel like I am, was rescued from a tree which was being cut down (the same way I, Sugar Bush Squirrel, was rescued). The tree cutter yelled "Timmmmberrrrr" and that's how he got his name. 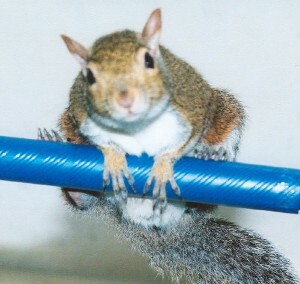 Below is another cute shot of Timber on his blue pole. To the right is a photo of Pam holding her other little baby, Maya. 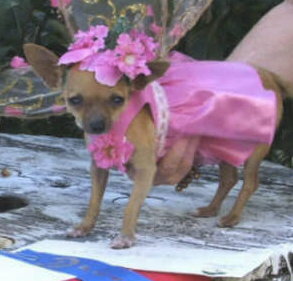 Maya is about 1 year old now and is a tea cup Chihuahua. Maya is dressed in her award winning costume. Isn't she beautiful with wings and everything sparkling! 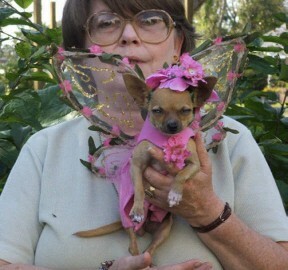 The latest contest she has won was the Barktoberfest sponsored by The Humane Society of Pensacola, Florida. Congrats to Maya. Please send us more photos as you take them so we can all enjoy them together. Thanks, Pam! 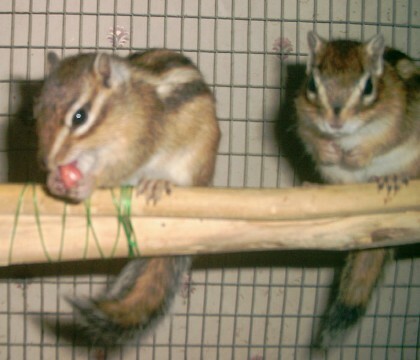 Are these little baby chipmunks adorable or what?!!! 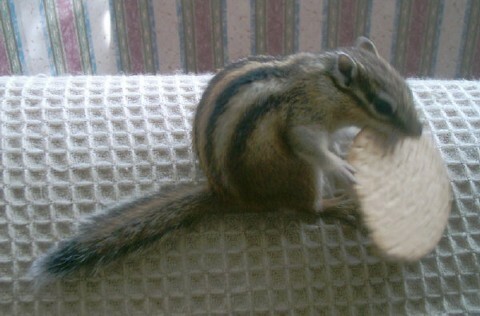 Don't forget to check out Kayleigh's Chipmunk web site at www.mychipmunks.piczo.com. Thanks for these great photos, Kayleigh! Keep 'em coming and we'll keep adding 'em. Check out ePals Page 8...Click here!